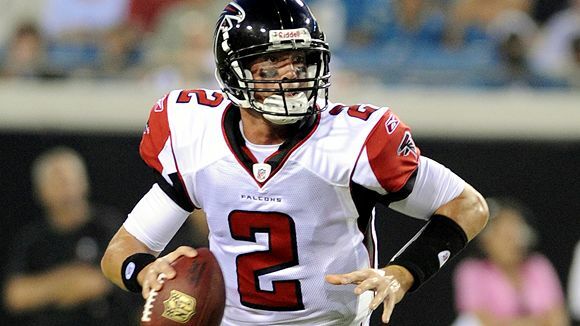 Will Matt Ryan be the Hero this week? It's just a day away now, the game that proves the Green Bay Packers legitimacy as Super Bowl contenders or the end of the season. Winners and losers, it won't be any simpler than that by this time Sunday. A rematch of teams that played each other to the wire just a over a month ago. Will the outcome be the same? Will new story lines emerge? Offensively, James Starks will not put up the numbers he put up a week ago in Philadelphia, but his impact will be felt just the same. The Packers will demonstrate a commitment to the run early that will prevent the Atlanta safeties from playing deep and taking away the long ball. With the safeties forced to respect the run Greg Jennings will prove to be this week's hero with a long pass play or two. Defensively the Packers will do something they couldn't the first time these two teams met - put pressure on Matt Ryan. Clay Matthews will draw the attention but Charles Woodson coming off the corner will prove the game changer. A more aggressive blitz package will let Woodson get hits on Ryan, disrupting his rhythm and forcing mistakes. Also the strong play of B.J. Raji will continue. Raji has been a force in the second half of the season and he will prove the difference in the run game, tying up blockers and freeing up A.J. Hawk and Desmond Bishop to make plays against the Falcons ground game. In a hard fought game the Packers make just enough big plays to win. The real difference is going to be a lack of mistakes. No turnovers and very few penalties turn out to be the difference. Where the run game proved to be the difference against the Eagles last week, a poor game plan and lack of commitment will completely invalidate the Packers new-found weapon. With little early success Mike McCarthy scraps the run game and passes the ball to excess. Facing a one-dimensional offense the Falcon defense can sit back and bend but not break. They pressure Aaron Rodgers and hold the Packers to field goals instead of touchdowns. Due to a growing number of three and outs with nothing but passes and the occasional Rodgers scramble, Green Bay rarely possesses the ball, putting the pressure on the defense to stop long Falcon drives. The defensive front seven holds strong early, but as the five, six, seven minute drives mount time of possession and scoring chances will swing massively in favor of Atlanta. Michael Turner proves a difference maker since he is nearly unstoppable at the goal line. The game is close, but a rested Falcon team wins the war of attrition late. If you base your pick on the first time these two teams met, you could flip a coin to decide the winner. The Packers barely lost that game and barring a special teams breakdown and facemasking penalty they go into overtime with all the momentum on their side. These are different teams then when they met back in November though. To make my pick I look solely at the play-calling of Mike McCarthy. If he commits to a run game despite what little results he gets early, the Packers win. If he doesn't, they lose. The Falcons are too good to fall at home to a one-dimensional offense.